Wheel alignments are a vital part of general vehicle maintenance, but nonetheless, some customers put them off. Whether they don't understand the importance of properly aligned vehicles or don't want to pay for the service, misaligned wheels can lead to trouble down the road. If you're a service professional, use this article to help explain to your customers why they should stick to an alignment schedule. Otherwise, take these tips to heart and be sure to keep up-to-date with your vehicle's maintenance needs. 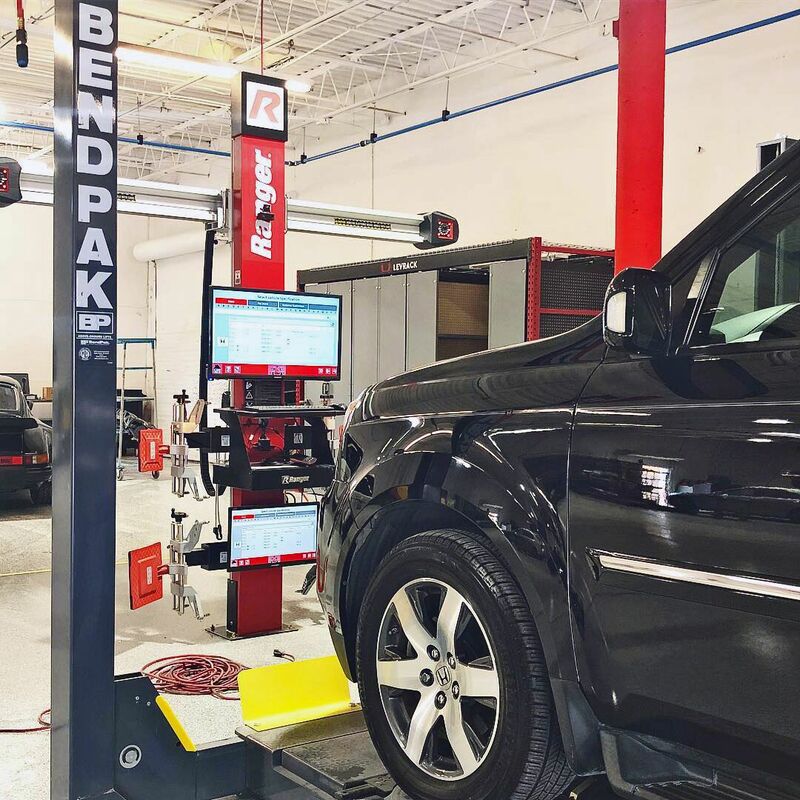 Let's explore the top 21 reasons every driver should schedule a wheel alignment as often as their vehicle manufacturer or auto repair professional recommends. A little over half of all customers rank overall reliability as the most important factor in the purchase of a vehicle. That's great, of course, but some people have the misconception that a reliable car will "take care of itself." Wheel alignments help improve steering control and maximize the lifespan of the tire, so alignments shouldn't be ignored. Vehicle maintenance is a necessary burden for anyone who wants to keep their auto running for as long as possible. The prospect of spending around $70 to $100 or more for a wheel alignment can be frustrating, but it's money well spent. Before actually doing the alignment, mechanics can offer customers a complimentary pre-alignment safety checklist. This builds trust and shows customers that you have their best interests at heart. With the right equipment, alignments shouldn't take long. 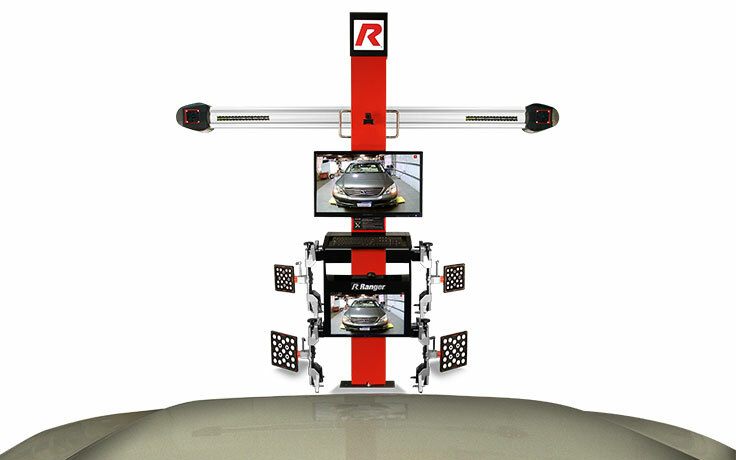 A 3D wheel aligner and an alignment lift are both must-have tools for full-service bays. If customers schedule their wheel alignments at the same time they schedule an oil change, shops can kill two birds (or more) with one stone. Be sure to communicate this to customers, and they'll be more likely to see that scheduling an alignment will mean fewer unplanned visits to the shop. Drivers who choose to ignore scheduled alignments will eventually feel one or more effects on their vehicle. Steering will be negatively impacted—the car will "pull" to the right or left. In some cases, the vehicle may be difficult to control. You might even notice your vehicle is moving in a straight line, even though the steering wheel is at an angle. The more pull you feel, and the more you have to twist that wheel to go straight, the more your vehicle is out of alignment. Advanced wheel aligners, such as Ranger's 3DP4100R Target 3D Pro Imaging Aligner, will print out a pre-alignment checklist to determine if a vehicle's wheels can be safely aligned. Damaged suspension components and/or low tire pressures need to be fixed before a wheel alignment can occur. While most cars can be aligned without a hitch, the safety pre-check shows customers your shop goes the extra mile. This helps build trust between businesses and consumers. A pre-service printout helps sell customers on the idea of a wheel alignment, but a post-service report is even more important. It tells customers how the wheels were positioned before and after the alignment. Customers walk away satisfied when they trust that their mechanic is acting in their best interest—that alone will keep them coming back for life. Most people have no idea what they're looking at when it comes to service reports, so take the extra minute, go the extra mile (however you want to phrase it) and just go over the report with them. They'll appreciate it. The longer wheels are out of alignment, the heavier the toll it will take on a vehicle. 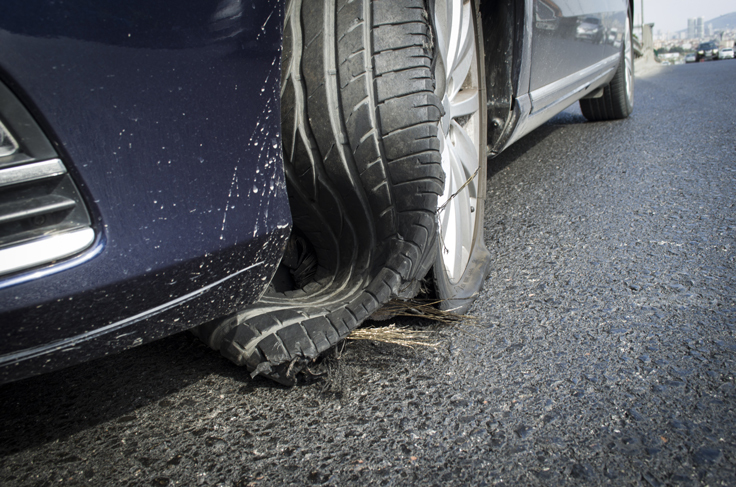 Customers can't always see or feel the damage being done, but tire wear is a serious concern. If one or more tire's treads are prematurely worn, customers will have to pay for new tires. It's money down the drain. A wheel alignment will help ensure tires stay properly planted on the ground. If customers need an extra push in the right direction, refer them to their vehicle manufacturer's maintenance plan. It may not suggest a clear-cut point at which to perform a wheel alignment, but you can work with customers to schedule an alignment. A manufacturer's maintenance plan provides convincing evidence for customers who don't feel 100 percent comfortable taking a mechanic on his or her word. Remember, a lot of people have been (or felt) ripped off in the past, so it's our job in this industry to change those negative feelings to positive ones. Severe alignment problems will cause vehicles to act up. The car might pull or drift in one direction, which makes it harder to drive in a straight line. Not to mention, the tires may be wearing down unevenly, and the vehicle's steering and suspension are likely experiencing unusually high wear and tear. Please note: It's not critically unsafe to drive with a little pull on the wheel, so our aim here isn't to scare people into pulling over to the side of the road and calling AAA. If you feel anything unusual about your vehicle, and the check engine light isn't on, it's simply time to schedule a vehicle checkup. Every 6,000 miles, or as recommended by the vehicle manufacturer, a wheel alignment should be performed on a vehicle. Customers should treat alignments with the same seriousness that they treat oil changes. In fact, it's safe to recommend to all customers that they schedule an alignment with every other oil change. It's also best to stay a little bit ahead of OEM recommendations, so if an auto company recommends alignment services every 7,000 miles, there's no reason not to do it every 6,000 miles. Let customers know that alignments can be thrown off rapidly or gradually, depending on driving conditions. Pot holes, curbs, and concrete parking posts can potentially throw your steering and alignment out of whack. Furthermore, as vehicles age, rubber components stiffen and ball sockets loosen. This is a progressive problem that requires regular maintenance, especially in high-mileage vehicles. Wheel aligners have changed a lot in the last few years. They're faster, smarter and provide near-perfect alignments on a single roll-back. Ranger's Target 3D Pro tire alignment system features an advanced Intel® Atom Quad Core CPU with 2GB RAM, 32GB Memory and Bluetooth 4.0 capability. 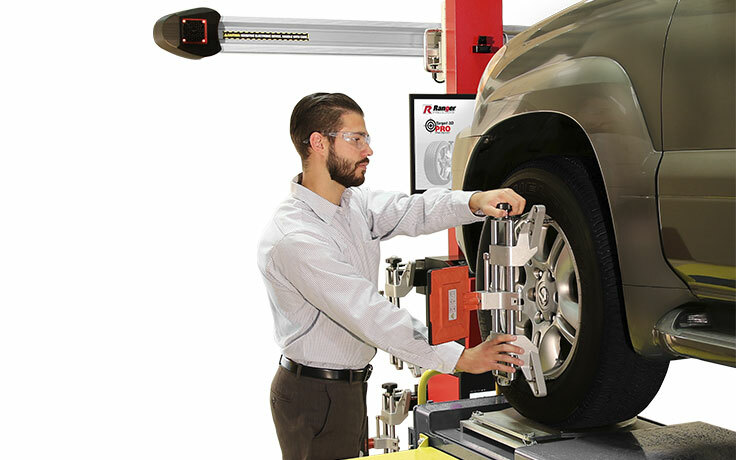 With an advanced tire aligner system, alignment procedures will never slow you down or prevent you from getting the job done. Ranger's wheel aligner also comes with features that will protect the software from sudden outages, as well as overnight reboots. Specifically, it has an exclusive Deep-Freeze™ Reboot-to-Restore Technology that preserves the computer configuration at all times. All changes can be restored to factory settings, whether those changes were made intentionally or not. Even malicious viruses can be completely wiped clean from the system. Just because you can't feel something, doesn't mean it isn't there. In other words, misalignments aren't always obvious. It would most likely take a professional driver to really notice the early stages of an alignment issue. The solution, however, is very simple: Wheel alignments should be encouraged for all customers once the scheduled time arrives. No ifs, ands or buts! 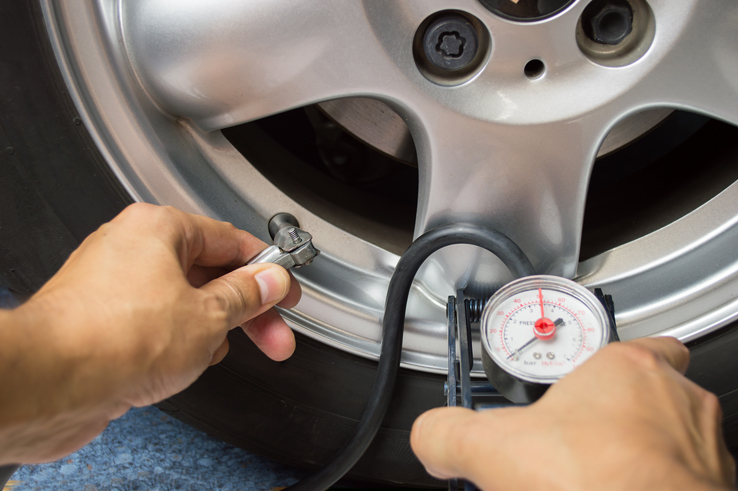 Tire wear and tear will increase with alignment issues, but tire pressure can also drop. TPMS systems will be able to alert drivers to one symptom of an alignment issue (low tire pressure). All drivers should do a quick visual inspection of their tires before getting into their cars; however, not many people actually complete this step on a daily basis. If anyone notices one or more tires loses pressure shortly after filling it, the vehicle's suspension steering may be out of alignment. The more common cause of pressure loss, of course, is a puncture. DIYer's can usually fix little issues like that at home, but if a patch doesn't solve the problem, a more serious alignment issue could be the culprit. Regular, preventative maintenance will extend the life of any vehicle. It all goes back to setting maintenance schedules and sticking to them. If a customer's financial situation is tight, some shops will allow him or her to pay 0% interest on a 6-month payment plan. Do whatever it takes to keep drivers on-schedule for maintenance. Every driver appreciates a heads-up on a potential problem area. Customers especially appreciate when you tell them, free of charge, about their vehicle's battery health, air filters, etc. Even experienced DIY'ers benefit from another set of eyes on their car. An alignment is one of those jobs that most DIY'ers can't do in a home garage. Hardly anyone outside a professional shop has an alignment lift/wheel aligner combo. The equipment is large, sophisticated and requires a little bit of training. It's a service that needs to be scheduled with a professional. Dealership warranties do not cover wear-and-tear maintenance, such as wheel alignments, oil changes, brakes, fluids, etc. These jobs are critical to the life of a vehicle, so if an alignment issue results in a more serious mechanical problem, that part of the vehicle warranty may be void. Dealerships are never going to cover something they aren't legally required to cover. As long as a vehicle's service reports are intact, warranty coverage rarely becomes an issue. Imagine that you approach your car in a parking lot and notice that the front, driver-side tire is worn down on its left side. This is a sign of an alignment issue. Unfortunately, the tire is already ruined beyond repair, and there may be additional damage to the steering system. If you can see tire wear, the vehicle needs to be taken into the shop right away. The silver lining is that it's a valuable learning experience: Never put off scheduled maintenance. Every wheel needs to be balanced with fresh wheel weights once in a while. The effects of an unbalanced wheel are similar to the effects of misalignment: vibrating/pulsing steering wheel, vehicle pull and bad handling. When the wheels are shaking due to unbalance, customers can expect to add wheel balancing to their list of services needed. 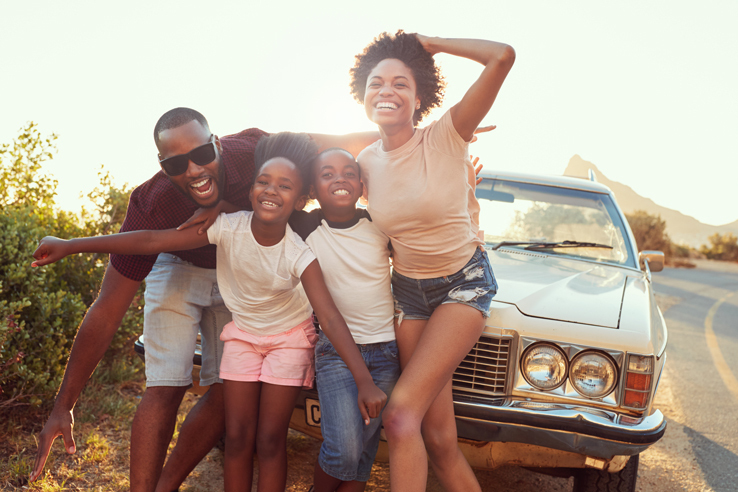 The more information customers have about the effects of proper vehicle care, the more likely they are to stick to a maintenance schedule. 21. We Simply Love Our Cars! Every driver is attached to his or her car. Cars are a critical aspect of our lives, so we should be treating them with care. Putting off an alignment for a few months might not have any negative consequences, but why risk it? Promoting wheel alignments is like promoting a visit to the dentist. It's not necessarily fun, but by educating the general population on the importance of proper car care, any shop can increase customer return rates, as well as the business's bottom line. Hopefully, this article demonstrates the importance of getting a wheel alignment. Schedule all service in advance, and stick to that schedule! Remember: every time a car is in the shop, it's an opportunity to provide fast, fair wheel service that keeps cars on the road. Plus, it makes customers happy to know someone's looking out for them. Looking for more information about car care? Explore our wheel service FAQs or call BendPak / Ranger at 800-253-2363.